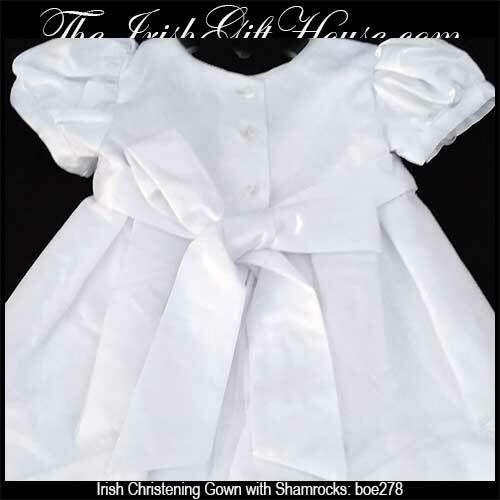 This Irish baptismal suit for a baby boy is available in three sizes. 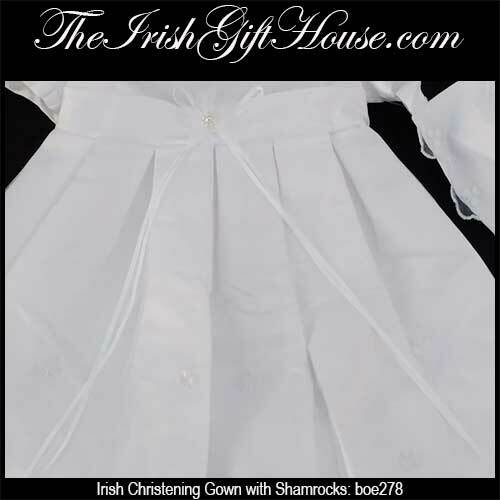 This Irish Christening outfit for boys features white on white embroidered shamrocks appliquéd on the vest and tie. 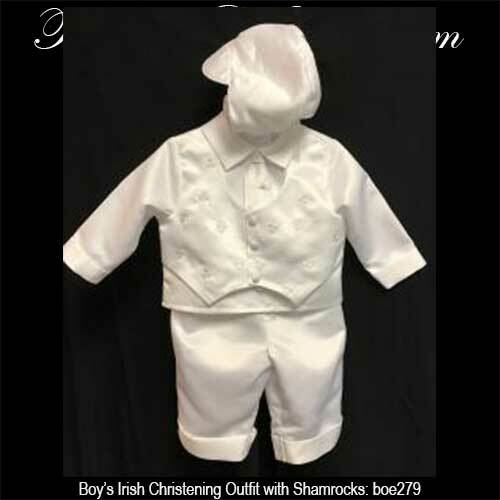 The boy's shamrock Christening outfit consists of a shirt, vest and tie combination garment along with elastic waist band pants and a cap. 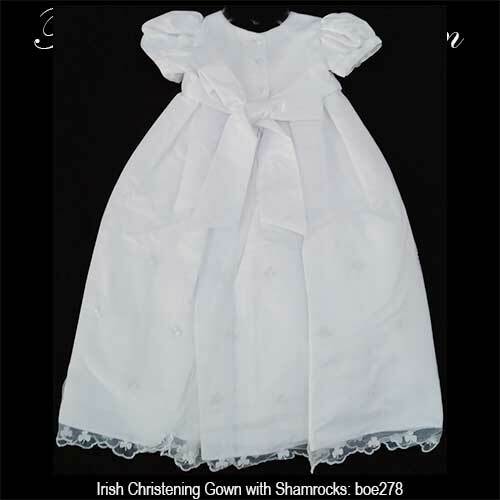 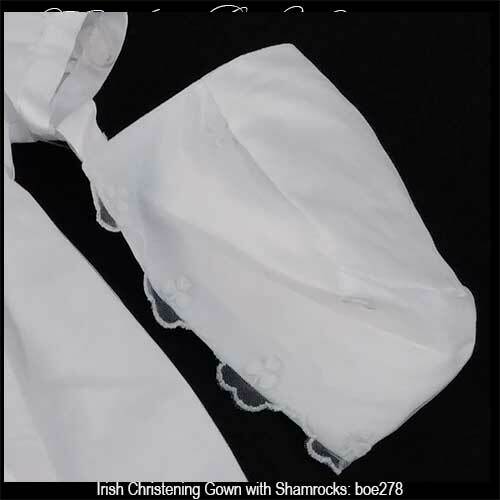 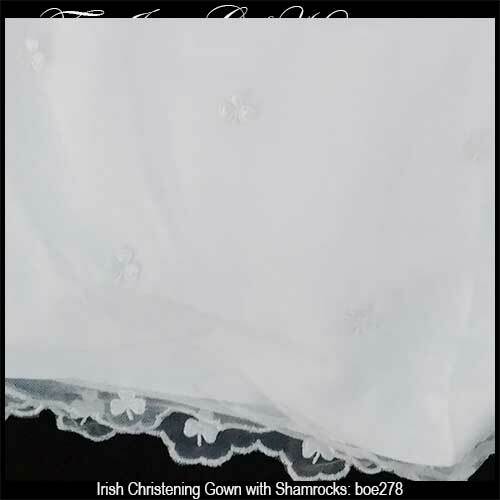 The shamrock Christening outfit is 100% polyester and is received with a shamrock history card, complements of The Irish Gift House.